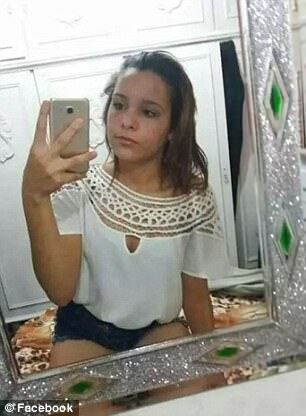 A 15-year-old girl from Brazil committed suicide earlier this month amid rumors that an ex-boyfriend disseminated intimate photos of her on social media forcing her to be bullied over her bi-racial appearance. 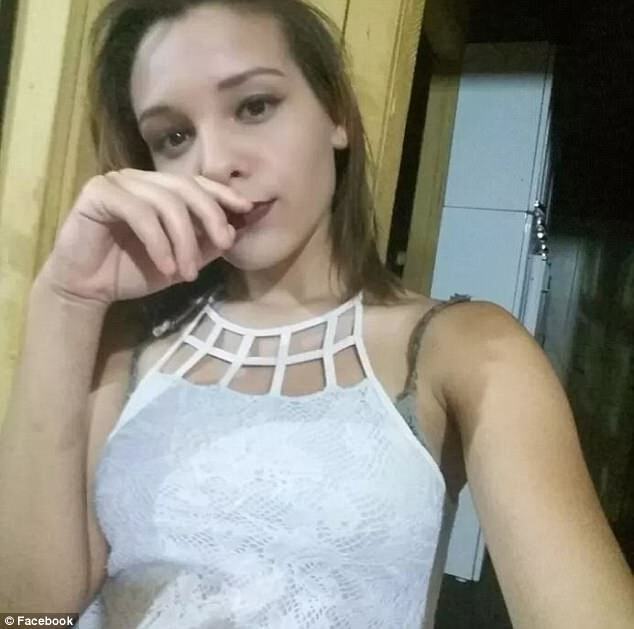 Dailymail reported that Karina Saifer Oliveira lived in Nova Andradina – a city of 50,000 about 500 miles of Sao Paulo – with her mother and stepfather and was a freshman in high school before the tragic incident. Revealing how the incident happened, it was gathered that on the afternoon of November 7, the mother, Angela Saifer came home from work after failing to reach her daughter, went out to the back porch and discovered the teenager’s lifeless body. A short time after her suicide, Karina’s sister received a crime scene photo of the 15-year-old’s corpse through the messaging app WhatsApp, as BuzzFeed News first reported. Saifer Oliveira’s mother told the news site there were no warning signs to suggest that her smart, affectionate daughter, who wanted to study law, was suicidal. But her stepfather, Aparecido Oliveira, said he knew that Karina was having a tough time at school. A year earlier, then-14-year-old Karina had a sexual relationship with a 17-year-old boy, and there had been talk in the community that he had shared intimate photos of the girl online. So far, the existence of the images has not been confirmed, but local police were said to be investigating. ‘Two months ago, she came to talk to me, saying that she was feeling like a trashy person because this had happened to her,’ her father told the news outlet. But the rumors were not the only thing that was on weighing on Saifer Oliveira. According to her father, who works as a security guard at his daughter’s high school, the biracial 15-year-old was being tormented by her classmates about her curly hair, and she would use a hair iron to make her locks straight. ‘She didn’t like her hair because people kept criticizing her about it. That’s racism,’ Mr Oliveira said. The girl’s dad added that it was not until after Karina’s suicide that he and his wife had discovered the scope of the alleged bullying. Acacio Sampaio, the principal at Karina’s school, said he, too, had been in the dark about the bullying until a couple of weeks before Karina’s suicide, when another student came forward revealing that the freshman had allegedly tried ingesting poison. The school principal said he had a conversation with Saifer Oliveira, and the girl opened up to him about the bullying and confirmed that she was feeling insecure about her hair, but she would not name her tormentors. Sampaio said in the wake of that conversation with Karina, school staff had a talk with all the students at the school. On the afternoon of November 7, Karina sent her mother a message on WhatsApp asking her for permission to go out to work on a school project. That was the last time Angela Saifer heard from her daughter. When Saifer tried to reach the girl later that day, she got no reply, which made her ‘a little worried.’ Then came the shocking revelation that Karina had taken her own life on the back porch of her family’s home. The family have filed a complaint about the post-mortem image with the Nova Andradina Police Department, which denied that officers released the photo.